The HubSat43WP from Altronix is an UTP Transceiver Hub with Integral Camera Power transmits UTP video, RS422/RS485 data and power over a single CAT-5 or higher structured cable. The unit provides 4 camera channels in a wall mount enclosure. Video transmission range is up to 750 ft. max. per channel. 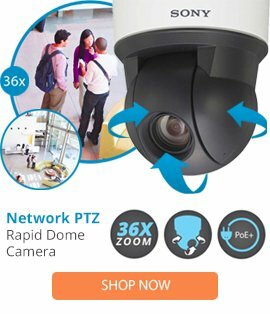 Units are compatible with DC fixed or PTZ cameras. In addition, the unit features individually selectable 24VAC or 28VAC PTC protected outputs with surge suppression. Optionally, the HubSat43WP can be used as an accessory module to transmit video from up to 4 cameras over a single CAT-5 or higher structured cables back to the HubWay, HubWayLD or HubWayLDH Passive and Active UTP Transceiver Hubs. In addition, the HubSat43WP provides power to these cameras locally to eliminate the possibility of voltage drop associated with long cable runs.